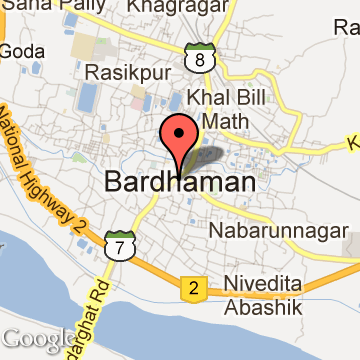 Barddhaman also known as Burdwan is found in the state of West Bengal. It lies to the center of the state and is the seventh most populous district in India. The place has its importance since the medieval age and also during the British rule. The soil made it very popular even at the time of Gupta period. It was known as Sharifabad and was an important administrative center. Today it is a very important place in the state of West Bengal and is full of natural resources. Barddhaman district is one of the most resourceful districts of the state of West Bengal. It is quite developed in terms of agriculture and technology. The eastern part comprises of a greater part of alluvial soil due to river Bhaghirathi and is great for agriculture. The western part, Asansol is rich in coal mines and other mineral resources. It is developed industrially and there are many large industries based on steel, cement and iron. Towns like Durgapur, Kulti and Murnur are quite significant. Power plants are located in Dishergarh and Durgapur towns. Mahtab Chand Bahadur and later Bijoy Chand Mahtab struggled their best to make this region culturally, economically and ecologically healthier. The chief educational institution was the Burdwan Raj College, which was entirely supported out of the maharaja's estate. Sadhak Kamalakanta as composer of devotional songs and Kashiram Das as a poet and translator of the great Mahabharata were possibly the best products of such an endeavour. Pratap Chandra Roy was the publisher of the first translation in the world to translate Mahabharata in English (1883–1896).The society at large also continued to gain the fruits. We find, among others, the great rebel poet Kazi Nazrul Islam and Kala-azar-famed U. N. Brahmachari as the relatively recent illustrious sons of this soil. The city became an important center of North-Indian classical music as well. Burdwan Tourism - Get all information on Burdwan tourist places and sightseeing tours. Our website helps you plan your next tour and gives you great ideas on what to do, where to eat, where to stay and when to go there. We give the best information from the web to give you precise, meaningful and useful travel guide for leading places to visit in India and from across the world. Our travel information on BURDWAN tourist places, tourist attractions, major sightseeing, the best time to visit, the top places to visit in Burdwan, the must-see things to see and do, maps, restaurants, hotels, nearby tourist destinations, local public information and more. To start with check out information on how to reach Burdwan.